Mondays: Slalom Training. 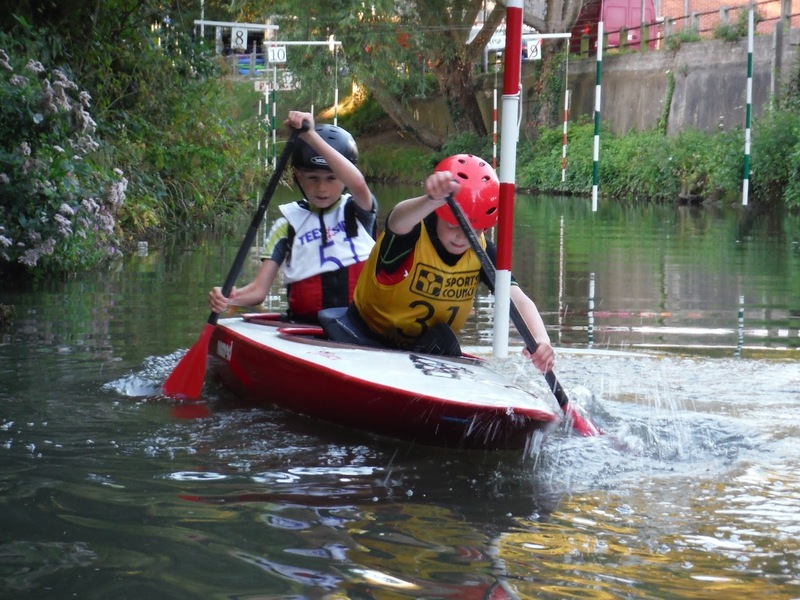 Market Yard, 6-7pm for Youth, 7-8pm for established paddlers. Tuesdays: Adults. Market Yard. 7-9pm. For more details see below. Wednesdays: General club sessions, for members only: Market Yard, 6.15pm-9pm. For more details see below. Wednesdays: Slalom Training. Market Yard, for established paddlers. 4.30pm-5.30pm with Chris and 6.30pm-7.30pm with John. Fridays: Pool sessions, 8-9pm at Frome Sports and Fitness Centre (BA11 2SA). For more details see below. 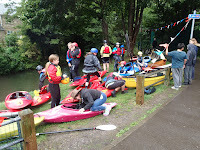 NEW TO CANOEING? Come for a Starter session on a Tuesday evening during the summer months. Young people come at 6.45pm; adults come at 7pm. For more details see below. Adults please come on Tuesdays at 7pm. 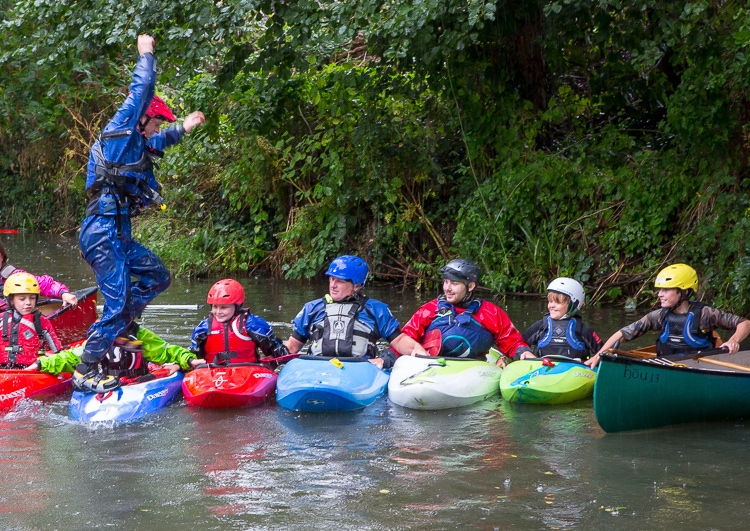 We have a flexible approach and you can either join a coached group to learn skills, or you can paddle with others who just want to chill out and do their own thing. If you are looking to gain the beginner's qualification, please let us know and we will arrange coaching and assessment. It usually takes about four weeks to gain this award and will cost you £10 to cover the elements of the course. 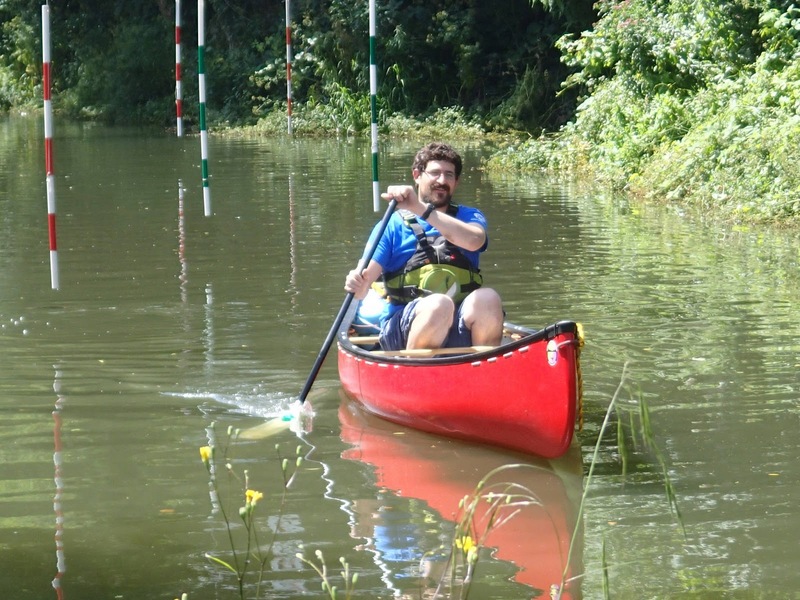 The British Canoeing certificate will cost you £6 if you would like to purchase it. 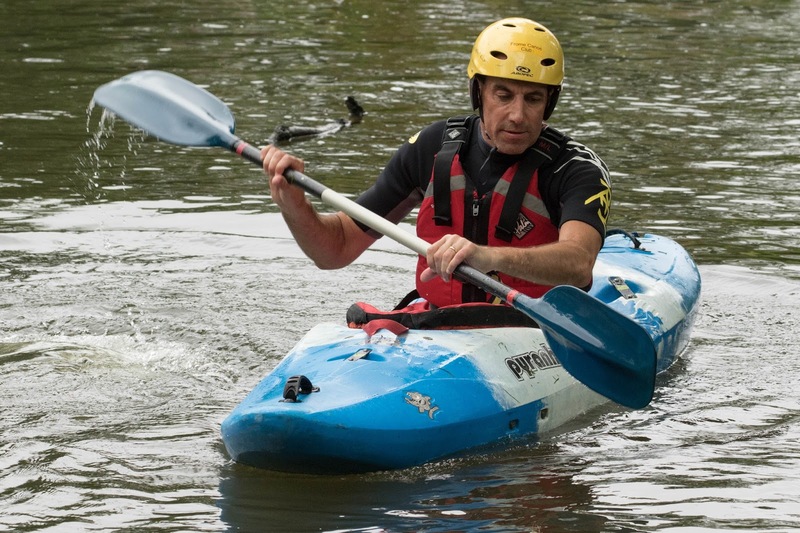 Whilst we provide separate paddling for adults on Tuesdays, please also be aware that adult members are welcome to join in the groups on the Wednesday club sessions: slalom, canoe polo and open boating. 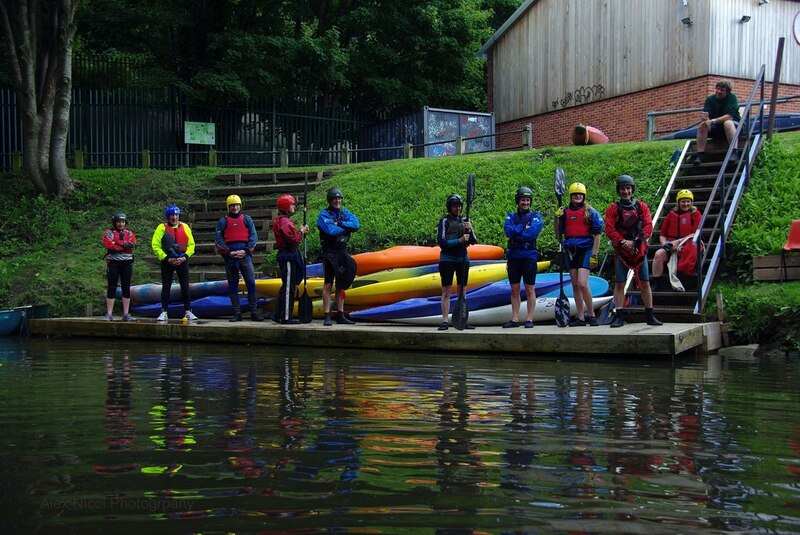 If you are completely new to canoeing and want to try it out with us, please come on a TUESDAY during the summer months, for a Starter session. Young people come at 6.45pm; adults come at 7pm. We will help you get started. Bring a change of clothes for canoeing in, a pair of old trainers and a towel. Your first session will be a 'taster' and is free. You can then decide if you want to take it further and join the club. If you still aren't sure after your first 'taster' and you want some more starter sessions without joining the club, the charge is £6 youth/£7 adult. Wednesday sessions 6.15pm-9pm April through to September are for members only. Based at the Clubhouse, Market Yard. Members £3. You need to bring a change of clothes for on the water (light clothing not jeans), or borrow a club wet suit. You also need some old footwear (not crocks or flipflops) and bring a towel. In cool weather, fleecy tops are good. We provide all the kayaking kit. Our Wednesday evening sessions are divided up so you can pick the activity you prefer. 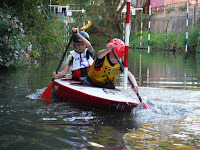 7.15pm for everything else: open boating, skills, experienced slalomists, etc. Look out for people wearing the yellow or orange 'Coach/Leader bibs'. They can help you! The Supervisor will help you to get the kit that you need from the kit store and the boat from the boat store. You must wear a buoyancy aid and helmet that fit you properly and shoes on your feet to protect them. Take care when you carry your boat to the river. The Instructor for the session is there to help you get started and will coach you during the sessions. However he or she also has the responsibility for everyone's safety during the session, and so you must do as he or she asks. After the session – hang up the kit you have used and take a shower for health and safety reasons. Fridays 8pm-9pm, September to April at Frome Sport and Fitness Centre. Cost Members: £3.50 per person. Non-Members £7 Adult, £6 Youth. You will need to bring swimming costume and towel. 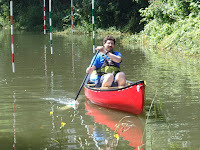 We provide all the kayaking kit. You get to paddle for half an hour. Our pool sessions are generally quite informal. Some people use the sessions as a good way to get started. Others practise rolling and some practise playboating moves. We always have a coach on hand to help if you need it/ask for it, but pool sessions are not the 'coach-led' sessions that our Wednesday sessions are. 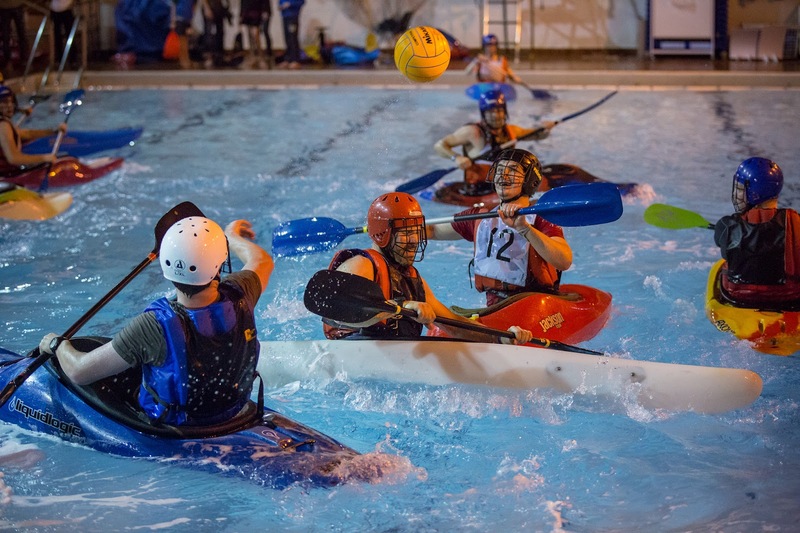 We have also introduced canoe polo to the pool sessions and run them twice a month, in one of the paddling slots. We use the large pool for kayaking. We allow a maximum of 16 boats at any one time. The small pool can be used when you are not paddling. The Supervisor for the session is in the yellow T-shirt. He or she will help you to get a boat and the kit that you need. If you need any help during the session ask the Supervisor. The Instructor for the session wears a green T-shirt. He or she is there to coach paddlers and will help you if you go up and ask. 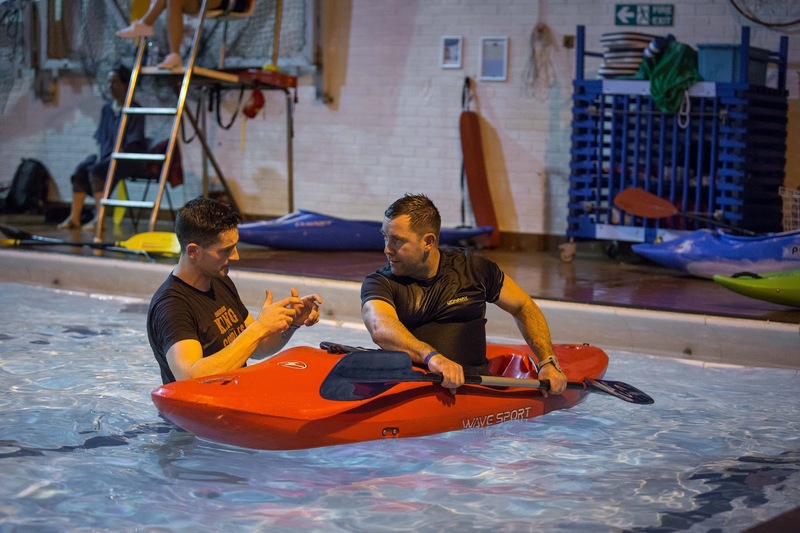 The Instructor will spend a little time with you, teaching you a technique or paddling stroke so that you can go off to practise it. The Sports Centre Lifeguards. They take responsibility for everyone’s safety. We must follow the normal pool rules. Come to the Frome Sports Centre at 7.45pm and meet us in the foyer. We divide up the pool session into paddling slots. 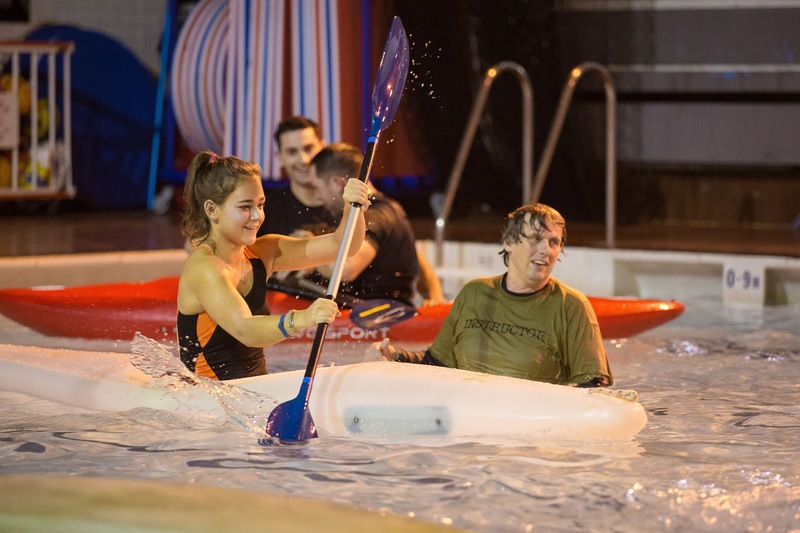 On busy nights we will have paddling slots of 20 minutes which means we can cater for everyone and everyone gets to paddle. When we are not so busy, people can get a 30 minute paddling slot in the pool. When you sign in and pay, you choose the paddling slot you would like to paddle in and we give you a coloured wrist band. Red bands go in the first slot; green bands go in second slot. 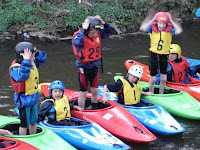 If we need a third paddling slot we will issue yellow bands. If we are very quiet, you may get an opportunity to paddle for longer. On some nights we play a game of canoe polo in one of the paddling slots. These dates are advertised in the calendar and on facebook.